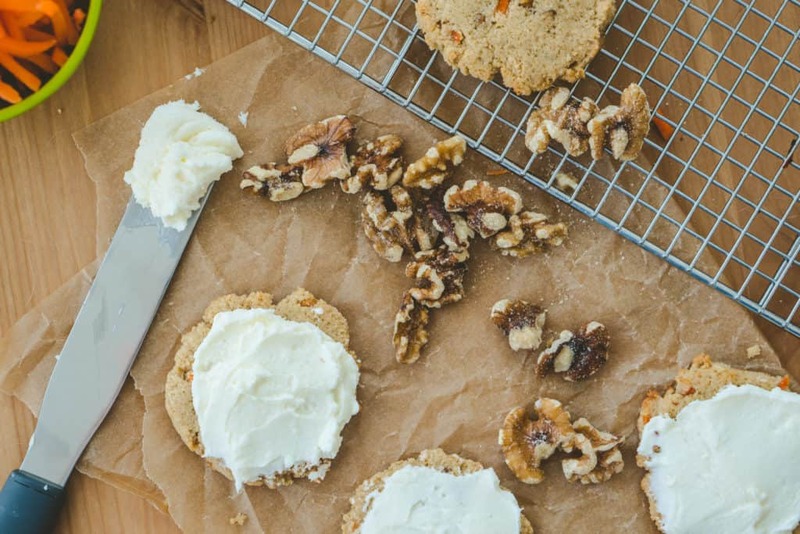 Frosting is one of those must have recipes for dessert emergencies so you are going to want to memorize this Simple Cream Cheese Frosting for your next mug cake or batch of brownies. I've always been a cream cheese frosting lover and going on a keto diet hasn't changed that one bit. This is a great recipe to make in bulk and store in the fridge, especially if you're a dessert lover like me and find yourself always making mug cakes, or you have kids in the house! When anything is sugar free it's automatically all you can eat, right? Well, I really want to say yes, but frosting shouldn't be taken lightly on the calorie front. This recipe is great for a low carb or keto diet, but it is still made of butter and cream cheese and the calories can add up quickly. That being said, it's a must have when it comes to topping desserts in my opinion. I would rather have a less sweet dessert like our high fiber muffins, and then top them with this rich and creamy frosting! What About A Chocolate Frosting Recipe? If I had to choose I would always, hands down, go vanilla cake with chocolate icing. So, if you're anything like me your going to want to make this frosting chocolate flavored. If that is the case all it takes is some cocoa powder and you're golden.. or should I say chocolate! I would suggest anywhere from 2-4 tbsp, depending on how rich you want it. Additionally, if it's not as smooth as you would like you can add 1-2 tbsp of heavy cream or an alternate milk, like almond, to make it creamier. 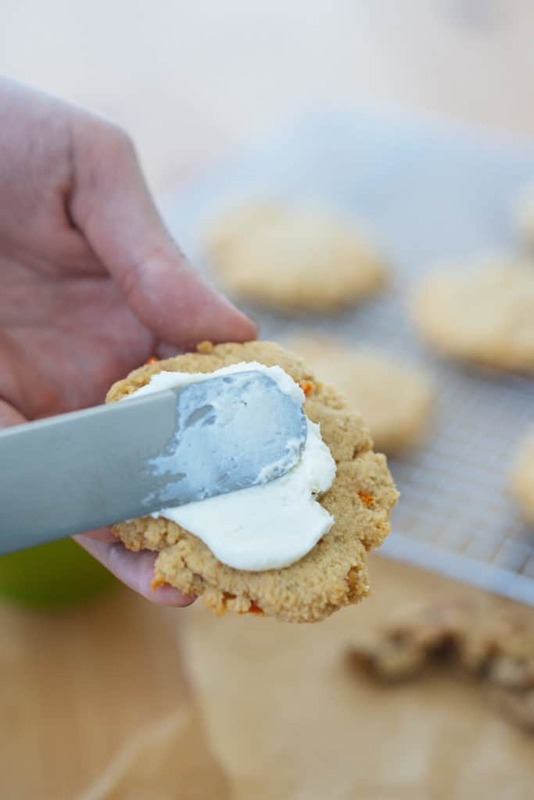 The main reason we created this recipe is to perfectly complement our Carrot Cake Cookies, which will be out on Sunday! Then we realized we should probably share it with all of you guys so that you could make use of it on any dessert you want. I much rather prefer cream cheese frosting, due to it's thick and rich flavor, but if you are a buttercream frosting lover like Matthew we've got you covered - chocolate and vanilla! 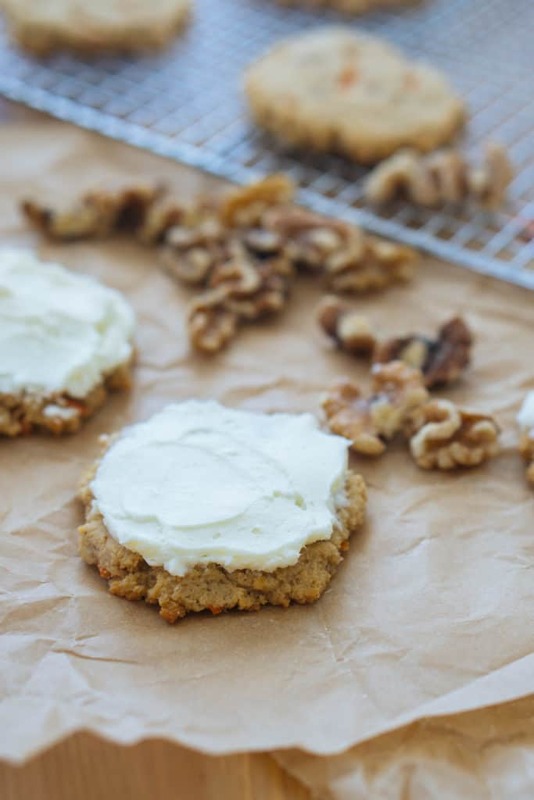 When you get a chance to make our carrot cake cookies or keto brownies don't forget to make this simple cream cheese frosting to top! Note: The entire recipe makes 16 servings. We didn't weigh a serving out, but we would estimate a serving is about 50 grams. 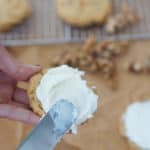 Recipe can be quickly added to MyFitnessPal - Search "KetoConnect - Simple Cream Cheese Frosting"
Add the cream cheese and butter to a large mixing bowl and combine using a hand mixer until smooth. Add in the powdered erythritol and vanilla extract and combine until everything is mixed together and uniform. Store in fridge in a sealed container or ziploc bag up to two weeks.